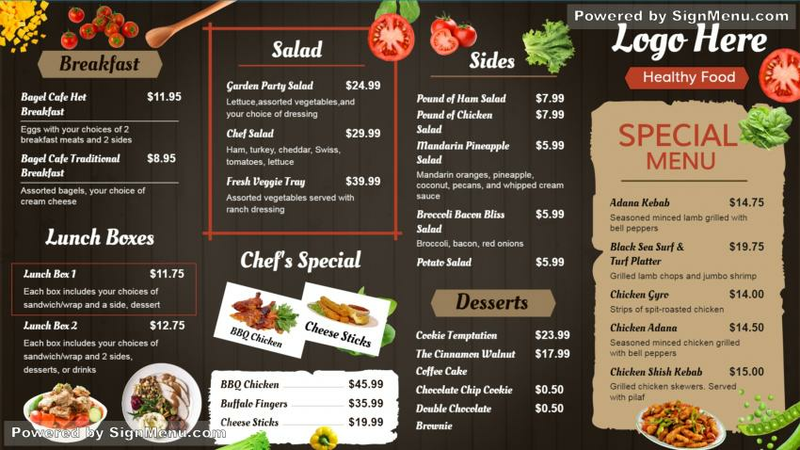 This template is best showcased on a digital menu board and placed at the entrance or indoors of the restaurant. Restaurants in recent times have started using digital menu boards for enticing customers more aggressively and getting the desired results by way of increased sales and revenues. This template therefore, presents a touchstone for your digital menu board and is ready for download and use.